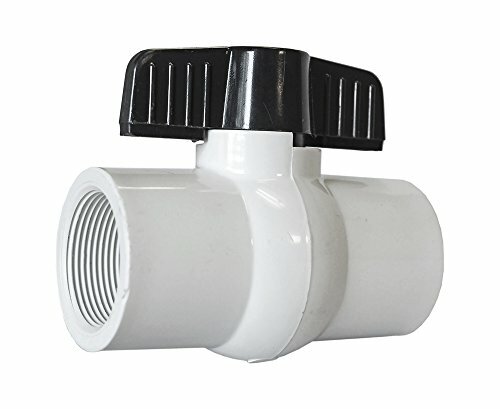 The American Valve P200 is a thermoplastic ball valve with threaded ends. The full port allows for maximum flow. The valve body is designed to absorb severe shock loads and stress to minimize the chance of uneven wear and leakage. This valve is not recommended for service or test with compressed air. Duda Energy 2PCBV-WOG200-F050 Full Port Ball Valve, 1/2" NPT, 2 Piece, 304 Stainless Steel with Blue Vinyl Handle.5"